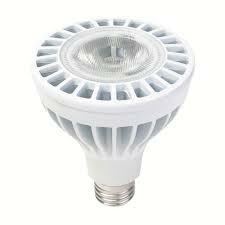 LED lighting as a light source of new generation has been popular in many countries and districts in the world. The policy to eliminate incandescent bulbs by the government brings chances of new market for LED lighting as a realistic light source. However, the market economy is always a double-edged sword. On the one hand, there are huge LED groups in China with obvious scale effects and broad market prospects. On the other hand, there are few barriers for the entry and the whole LED industry is in a disorder with products of different quality standards. With all the cooperated forces from the market, Ms. Wu Ling states that the coming 3 to 5 years will be the key period for the development of our national semiconductor industry, but confronting the fierce competition, there are many issues for our national semi-conductor industry like no enough investment in R&D, no strong innovation ability, decentralized industry resources, no general plan for standard authorization, incomplete industry environment, no systematic service system and other pending issues. Currently, the main disadvantages for our national semiconductor industry are no strong technique support, talent or sustaining innovation ability. At the end of the interview, Ms. Wu Ling indicates that in the past decade, the market of our national LED industry has been increasing by 20% per year. As a light source of new generation, the controllability of LED provides the room for its creativity and innovation as well as endless market. 3 years in the future will be the time for the rapidest development of LED, which should be the opportunity that LED enterprises should grasp with its advanced technology and products of good quality.